Originally from Chile, Hermana Glenda is a contemporary Catholic singer-songwriter who is extremely popular the world over. She travels internationally evangelizing through music. 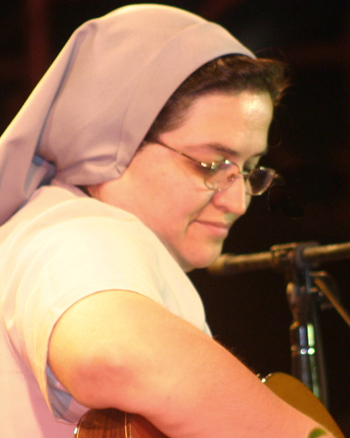 Hermana Glenda first gained international fame at World Youth Day 2002 in Toronto, where she sang her popular song “Nada Es Imposible para Ti” before Pope John Paul and hundreds of thousands of people during the closing Mass. She recently founded the non-profit organization Consuelen a mi Pueblo (Comfort my people) to further her mission. Her ministry takes her to underdeveloped countries where she gives free concerts and makes her CDs available to those who cannot afford them. ¿Adónde Te Escondiste, Amado? (C1)-Intro. El Aspirar Del Aire (C 38)-Intro. Llama De Amor Viva (L1)-Intro. No Quieras Despreciarme (C 33)-Intro. Oh Lámparas De Fuego (L3)-Intro. Hermana Glenda was inspired to sing the title track of Alguien Está Orando por Mí while visiting a women's prison in Gibraltar. This song expresses the reassurance that, whatever happens, someone is praying for us. It puts a voice to the despair of human existence while recognizing that peace and hope coexist with that despair. This is the mystery that lies at the heart of belonging to the Body of Christ, and it is the central message of this beautiful CD. Melodious arrangements and a variety of instrumentation—including flute, strings and subtle percussion—join Hermana Glenda's light vocal quality to create a soothing, listening experience. Recorded in Barcelona and produced in collaboration with FundaciÍn Consuelen a mi Pueblo, Alguien Está Orando por Mí will appeal to anyone seeking to develop a deeper relationship with God, including traditional liturgists, charismatic and renewalist groups, worship leaders and individuals. Alguien Está Orando por Mí offers music for prayer, healing, comfort, reassurance and celebration. In addition to the title track, popular titles include "Alianza de Amor Entre Tú y Yo," which delivers a hopeful message, and the gentle harmonies and lyrics of "Como una Madre" and "Sufro". Equally useful for worship and prayer groups as well as personal reflection and meditation, this remarkable collection will inspire, uplift and delight. The psalms possess the most crucial truths of our faith. 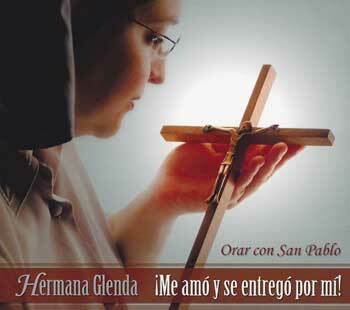 Showcasing Hermana Glenda's unmistakable voice and spirituality, El Señor Es Mi Pastor breathes new life into texts Spanish-speaking Catholics have cherished for centuries. Featuring 12 well-known psalms—handpicked by Hermana Glenda—this soul-stirring collection invites us to experience a deeper relationship with God by surrendering ourselves in service to one another. 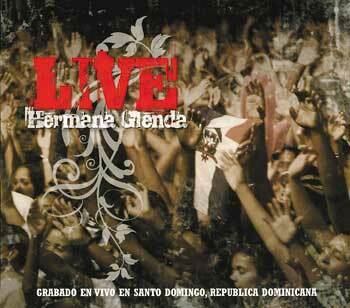 Attending a Hermana Glenda concert is truly an inspiring experience. She has a unique gift for renewing faith and opening hearts to the love of our Lord through the power of her music. Packed with 15 of her most beloved titles like "Tú mi Alfarero," "Ven, Señor Jesús" and "Nada Es Imposible para Ti"—sung while Pope John Paul gave Communion at World Youth Day 2002 in Toronto—this incredible collection of contemporary Spanish songs is the next best thing to seeing her in person. Plus, go deeper into the music with insights and anecdotes between songs from Hermana Glenda herself. 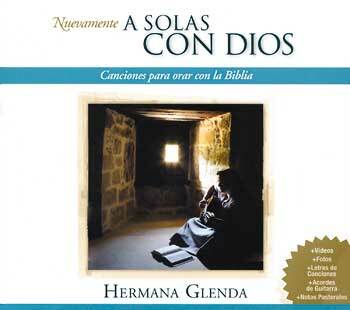 This CD contains 15 Spanish songs and hymns for healing by Hermana Glenda. Orar con el Corazón (translated: praying with your heart) is the perfect title for this album. Each of these 14 Scripture-based songs quiets the mind and penetrates the listener to the core, allowing for the discovery of God's most important message: we are loved. 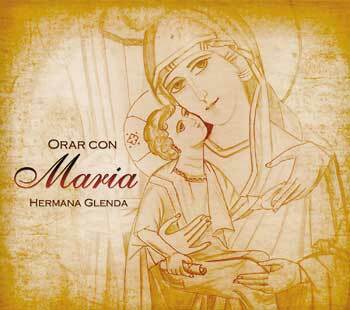 Drawing on 14 biblical texts and Marian traditions that have touched her heart, Hermana Glenda creates a musical homage to our Holy Mother. This wonderful collection of songs provides a contemplative accompaniment for praying with Mary and encourages us to follow her simple, yet profound example: "Let it be done unto me." The letters of St. Paul contain the essence of Pauline theology. Setting music to 13 distinctive texts — from Colossians, Corinthians, Galatians, Philippians and Romans — Hermana Glenda beautifully captures the teachings of a man who was instrumental in spreading the good news to all people. Dedicated to evangelization through music, Hermana Glenda has touched the lives of countless believers around the world. Rediscover 18 of her earliest songs with rich, new instrumental recordings that are ideal for personal reflection or praying the Scripture texts. Plus, enjoy videos for "Ven, Señor Jesús" and "Pide y Se Te Dará"—both included on this enhanced CD. Dedicated to evangelization through music, Hermana Glenda has touched the lives of countless believers around the world. Rediscover 18 of her earliest songs with new recordings that enrich these musical gems, while preserving the original essence that made them so great. Enjoy a number of bonus features on this enhanced CD, including a photo album, two videos and a pastoral workbook containing notes for catechesis, lyrics and chords for each song and more! Originally from Chile, Hermana Glenda Hernández is a contemporary Catholic singer-songwriter who is extremely popular the world over. She became a nun in 1988, joining the Sisters of Consolation in Chile. She lived the consecrated life for 20 years, after which she discerned a new call to evangelization through music. In order to fulfill this new apostolate, she became a member of the Order of Consecrated Virgins. She has a degree in theology from the Pontifical Gregorian University in Rome and psychology from the Pontifical University of Salamanca. 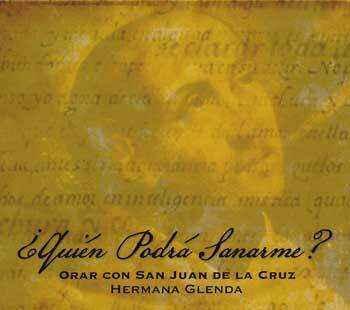 OCP is very pleased to partner with Hermana Glenda to distribute her CDs, including Nuevamente, A Solas con Dios and Nada Te Turbe. 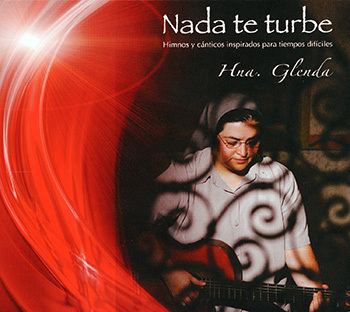 While Nada Te Turbe includes 15 new songs and hymns for worship; Nuevamente, A Solas con Dios is a re-release of one of her first albums and 18 of her earliest songs. Her simple, meditative melodies, gentle acoustic guitar, sweet voice, and Scripture-based lyrics combine to draw listeners everywhere into deep prayer and communion with the Lord. Currently Hermana Glenda lives near Barcelona, Spain.